The Laurel Camps are seeking counselors for summer camp jobs in Maine. We are proud of our commitment to hiring summer camp counselors and specialty staff who encourage, motivate and care for our campers. Our staff consists of collegians, teachers and professionals from more than 100 colleges throughout the United States. The Laurel Camps represent the finest in co-ed residential summer camps. Accentuated by the beauty of Maine, each camp boasts superb facilities and a welcoming atmosphere. We offer diverse programs in six core areas: Athletics, Waterfront, Tennis, Inter-Arts, Adventure and Equestrian. 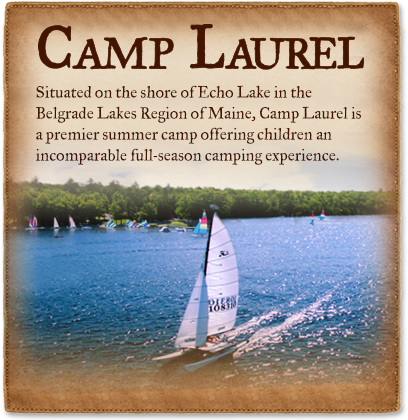 Camp Laurel and Camp Laurel South offer summer camp jobs with excellent salary packages that include travel allowance, laundry service, room & board and time off to enjoy Maine and the surrounding areas. Applicants must have completed one year of college. We support summer internships for college students. Come join us in an environment where lifelong friendships and memories are created. Interested applicants should apply for camp counselor positions at either or both camps.